Gresham, Oregon is the fourth-most populated city in Oregon. It’s a lovely city that is known for attractions like Crown Point, Springwater Corridor and Oxbow Regional Park. Even in this beautiful city, however, drug and alcohol addiction is running rampant. All throughout the country, substance abuse is affects millions of people. The people of Gresham, Oregon are no exception to this. Throughout the beautiful state of Oregon, drug and alcohol addiction is a real issue for citizens. Not only does it affect a person’s life by destroying relationships and careers, but it can be incredibly destructive to families and communities. The Oregon Health Authority reported that since the year 2000, heroin overdose fatalities have increased more than three-fold. While this may seem like a discouraging statistic, it’s fortunate that those who are willing to ask for help are able to find healing and recovery. There are numerous resources that are available for those who are struggling with substance use disorder in Gresham, Oregon. 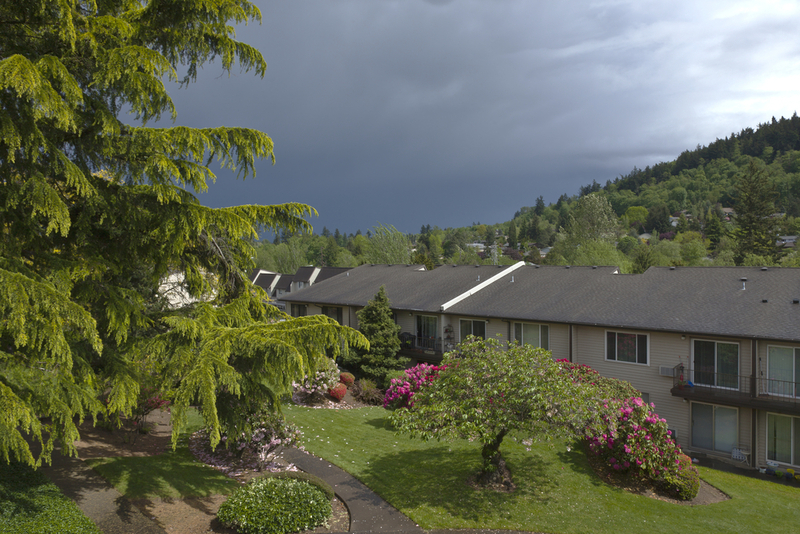 Throughout this guide, you will be provided with the information you need on drug and alcohol rehabilitation programs, detox programs and recovery meetings in Gresham. When a patient decides he or she wants to stop using the substance he or she is addicted to, the first step in the process will be detox. While withdrawal symptoms are more psychological than physical for drugs like cocaine or ecstasy, withdrawal symptoms with substances like Klonopin, oxycodone or alcohol have a definite physical component. For these patients, medically-supervised detox is needed. This is where detox centers may be beneficial. A detox center provides patients with the medical assistance they need to get through the process of withdrawal so that they can eliminate the substance from their bodies. Many patients choose to detox at a detox center because attempting to detox alone at home is too difficult, painful and even dangerous. However, the best option for detox would be to participate in medically-supervised detox at a treatment facility like The Recovery Village at Ridgefield that also offers inpatient and outpatient treatment programs. These treatment programs are necessary to treat the psychological, emotional and mental aspects of your substance use disorder, not just the physical symptoms. For those who live in Gresham, Oregon, who are seeking treatment for substance misuse, there are many different options. In a treatment center, you will have access to different levels of treatment. Most centers offer both inpatient and outpatient treatment programs to treat you drug and/or alcohol addiction. It’s beneficial to learn a little more about what all is involved in the different levels of treatment. In a residential or inpatient treatment program, during the day, the patients participate in group therapy, individual therapy, healing activities and substance misuse courses, and overnight, they stay on campus at the facility. Because of this, they have access to 24/7 medical supervision from healthcare professionals. For patients who need to go through detox first, this treatment program is usually the best option. The majority of treatment centers will offer outpatient treatment programs at different levels. For example, at most facilities, Partial Hospitalization Programs (PHPs) are offered. Also, Intensive Outpatient Programs (IOPs) are offered. A PHP is just as involved as a residential program, but the patients are able to go home in the evenings. An IOP does not involve as much time in the treatment center each week, but will still involve therapy, courses and recreational activities. Often, patients will complete an outpatient program after finishing an inpatient program. Stopping everything in your day-to-day life to go to a facility and receive treatment may be inconvenient. It is important, however, that you give yourself a break from your daily routine to focus on your own healing. Without seeking the treatment you need, you won’t be able to fulfill your commitments anyway. When you take the time to heal, you are treating your job, your family, you education and your life with more consideration. Substance overdoses resulted in over 15,000 hospitalizations throughout the state of Oregon between 2000 and 2012. This is an unfortunate statistic. The good news, though, is that millions of people struggling with alcohol or drug addiction throughout the country have been able to find the healing they deserve at treatment centers like The Recovery Village at Ridgefield. Once a patient has completed inpatient and/or outpatient treatment at a treatment center, the next stage in their recovery is known as the aftercare stage. Any effective aftercare program will involve recovery meetings. For those who are searching for recovery meetings in Gresham, there are numerous options. Members of Alcoholics Anonymous have a saying: “Keep coming back because it works if you work it.” Those who are involved in the 12-step program of Alcoholics Anonymous utilize the tools that AA provides such as the steps, the traditions, the promises and the principles. Since 1935, AA has helped millions of people all over the world. There are many AA meetings in Gresham. Here are a few. Members of Narcotics Anonymous utilize the same 12 steps as Alcoholics Anonymous, but their program focuses more on drug addiction and not just the addiction to alcohol. NA has been around since 1953, and they are now considered to be the second largest recovery group in the world. NA also offers many helpful tools to members. Here are a few NA meetings in Gresham. SMART Recovery stands for Self-Management for Addiction Recovery, and it offers an alternative to 12-step programs like Narcotics Anonymous and Alcoholics Anonymous. With a focus on self-empowerment and self-reliance, SMART Recovery looks at addiction as a series of destructive behaviors that need to be managed as opposed to a disease that needs to be treated. Here are the SMART Recovery meetings that are closest to Gresham. Everyone knows about programs like Alcoholics Anonymous and Narcotics Anonymous for those who struggle with substance use disorder, but for the loved ones of those who struggle with addiction, there are Al-Anon and Nar-Anon meetings. Sometimes it can be difficult to love someone who is afflicted with the disease of addiction, and you may need to gather with others who can offer you understanding and support. Here are some Al-Anon and Nar-Anon meetings in Gresham.